A New Year And A New Decade, Are You Ready? Well the 1st of Jan and 2010 has arrived. Yay! I don’t know about you but I’m in two minds as to whether 2009 really flew by or not. Partly because I spent most of it learning new skills and it almost feels like it was a long way back that I delved into Social Media. And it wasn’t a long way back at all, it was less than 12 months ago!! In retrospect, this would have been a great post to get done by Dec 31st but after reading my friend Kary Rogney’s post, I’m starting today with no regrets. So what did I learn in 2009 that can be of value to you? Well a ton actually! I launched this blog somewhere around June of 09 after a lot of trepidation and hiding it from my Twitter profile. Why? Well because like most of us, I wanted it to look good before anyone saw it! I was doing tutorial after tutorial on how to set it up, how to lay it out and even learning the fundamentals of SEO can you believe it! I hadn’t even launched it and had absolutely no content and I was trying to learn SEO before it went live lol. Reflecting back, I read some really great info along the way that I hope will help you through your hurdles. If you’re starting out online with blogging and Social Media and don’t have a technical background, information overload is pretty much a given. I haven’t met a successful person yet who didn’t go through it. Yeah great I hear you saying… How does the obvious help me? Firstly, one of the biggest mistakes we make (well at least I did) is learning information ahead of time. E.g I was learning SEO before I even launched my blog! This is a huge waste of your time. Why? Because when it comes to technical stuff, the chances of you remembering it when it comes time to use it are very low. Chances are you will have to go back and read or watch that tutorial all over again when you are ready to use that particular piece of information. What a complete and utter waste of time huh! So my advice is, don’t go learning how to upload a video to your blog if you haven’t yet made a video. Make the video first and then learn how to upload it! Only spend your precious time learning things when you are ready to take action and implement. I can’t emphasize this enough as from personal experience, you can easily fall into a trap. 2009 was a year where I spent thousands upon thousands of dollars learning some of the most cutting edge Social Media strategies and yet guess what? If you were to ask me to share what I learnt right now, I would be lucky to be able to convey 30% of it! 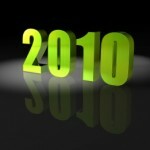 I had an uh ha moment 3 days ago that has changed the way I’ll be operating in 2010. I was speaking to a person in a high level management position about a particular system that could be taught more easily world wide by using Webinars. He replied with “a what?” and I said a Webinar. He then said can you spell that word for me! As you can imagine, I almost fell off my seat. I was thinking geez Webinars, isn’t everyone learning from Webinars these days!! So where have you been stuck last year that has a whole new light this year? This is such an awesome journey and I would love to hear your accounts on how you started out. The good, the bad and the ugly lol. 17 Responses to A New Year And A New Decade, Are You Ready? First of all…Happy New Year! You are getting the year off to a great start. I really appreciate what you have to share here. Like you, I’m also quite new to this online marketing “thing”, but I didn’t get started until November a few months after you. I can definitely relate to the information overload. So much great info to learn and absorb and it seemed that everywhere I turned I kept finding new and interesting information. Looking back, yeah I may not remember all of it but at least I’ll have a recollection and I won’t be completely in the dark. The key thing you hit on for me which is important for all of us to remember is that we DO have value to offer. Everyone knows something a little bit better, maybe has a tip or trick that can be shared. But, where I really notice this is when I’m out in the social circles of the “real world” and I’m having conversations with people face to face. It seems more people then I think are still in the dark on this. They’re just beginning to think about using social media to market and connect with people and when I talk about what I’ve done in a few short months they look at me in a different light. Keep sharing the wealth of knowledge you have. It’s an untapped gold mine. Hey Don and a Happy New Year to you! I think you’ve really hit a key point here re socializing in the ‘real world’ or ‘offline’ world so to speak. Perhaps if we were sharing more of what we’ve learned with people offline, we would quickly start to realize the amazing amount of value we now have to offer. I think the trap is that we keep sharing info and ideas with the people who are already on the same learning path as we are. I know for me personally the lesson came when I actually started talking to people offline about what I’d been up to in Social Media. Thanks for sharing this Don as it sounds like we’ve been having a similar experience in terms of the jolt it took to realize the value we have to offer! Thanks for the post today. I know exactly what you are talking about when it feels like everyone in your network already knows what you have to share. Like you, I have recently learned that is not the case. We all bring to the table something new and something unique. I look forward to learning and growing with you in 2010. Hey Happy New Year Krista! From what I’m reading in the comments here it seems like a lot of us have been struggling in the same area. 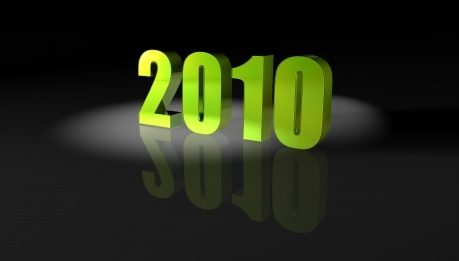 I’m getting the feeling that 2010 has already bought with it an amazing break through for all of us! Michaele that’s a brilliant way to launch 2010 off right! You have so much knowledge and so much potential that I can’t wait for you to share more of it with us! I have so much to learn from you… Thanks for all of your help and support, you are a blessing! .-= Kimberly Castleberry´s last blog ..Social Media Metrics, Measuring Your Impact for Maximum ROI =-. Given the amount of value I see you offering out there I think I’m going to have trouble keeping up! If it wasn’t for you I’d still have a completely squished up comment layout! What a great start to the new year. I know you’re going to crush it this year. You are right on the money when you’re talking about information overload. This leads to analysis paralysis. I like this to driving a car. It’s very difficult to make a car turn left or right when it’s in park. But when we move just a little it’s a little easier to steer. And the faster / more comfortable we get, it’s even easier. In fact there’s very little turning of the wheel when we’re going 60 or 70 down the freeway as apposed to backing up out of the drive way. Keep doing what your doing and you’ll be on the expressway towards THIS years goals in no time! .-= Ken Pickard´s last blog ..How to Build a Tribe Page =-. You make me laugh with your analogies! Seeing as I don’t drive, I can only imagine how difficult it is to make a car turn left while in park lol. The key is definitely to stay on track by moving (even if they need to be tiny steps) toward our goals. It’s so easy to lose sight of where we are headed if we allow overwhelm to lead to paralysis. I can’t wait to see what you have hidden up that Tribe Mastery sleeve of yours in 2010. Hey Michaele think we may have spoken on Skype a little after the year 2010, lam not quite sure, any ways if not, because of yes you know info over load took place, yes in my life most of 2009,but any ways Great New Year to you Michaele its going to be great, yes you have turned the lights on for me for 2010 yes l did struggle with what to post on our blog somtimes in 2009, but you have sparked a fire for me mate! yes so true there are many new people coming online or are business people who don’t even know what a webinar is, as well as the many other simple but vital and great tools to use in the world of social media. I’m glad my post sparked a fire for you! Chatting to people here I think information overload has been across the board at some stage for all of us. The key now as I see it is exactly what you mentioned re there are new people coming online all the time. I’ve started writing a list of the things I didn’t know how to do when I started learning Social Media. This has been a great little exercise as my list is HUGE and it keeps growing as I have constant flash backs on the things I once didn’t know. Now I’m laughing about the webinar conversation as whilst I’ve probably attended hundreds, conducting them is on my ‘to do’ list. Perhaps the first one should be on “How to recognize the value you have to offer” lol. Wow, what a great start to the year. I look forward to hearing more. 2010 is our year for sure! Having said that I must disagree with you on one small point. I am pretty clued up with SEO and the like, working with it ALL the time. 1) One of the biggest mistakes people make when putting up a new site is they do the site first, then try to do the SEO (search engine optimisation) afterwards. This is often laborious, time consuming and just damn hard! 3) Even though you may have forgotten some of the stuff, when you went back to “relearn” it, I’m pretty sure you found the info you wanted much faster because you already had an idea of what you were looking for. Also, I’m sure that as you read it again, alot of it just made more sense the second time around? 4) And this is a biggy for me. When you do something (not necessarily websites) and you learn ahead of time, you may actually discover something that completely revolutionises the way you WOULD have done it had you not pre-learned. I think you did it the right way round, even though you may not think or realise so. Think about it like this, what would be the value of embarking on a project you know nothing (very little) about, and then learning about it afterwards? Doesn’t really make sense, does it? Aww, okay, I’m warming to your disagreement! I can definitely see your logic re SEO so perhaps I chose the wrong point to labor.. And you are right, I would hate to have to go back and do all of that stuff now. Like I just discovered a month ago that I forgot to install Google Analytics…. Dah! I guess this was because I thought installing GA was getting ahead of myself, when I was just starting out. Now I realize it was one of those things I should have spent time on, ahead of time. If that makes sense. Good point on relearning for the second time, as there are definitely some things where the knowledge does come back faster because you have spent time on it in the past. I also probably did make some strategy changes along the way due to learning certain things ahead of time too. I thought that I didn’t have much to share, but now I know I have because I teach what I learn, if I want to learn about it then someone else does too. Last year for me was a great learning curb and some of what I learn’t I couldn’t share. But as we know this year is going to be the best year ever. .-= jean´s last blog ..10 Reasons To Belong To A Tribe; =-. This is so perfect for all of us doing our best to learn everything! I am so happy you wrote this article. I felt the same way as you and I must say, I still get caught up in the “learning”. Thank you for your wise words of experience and I will take it to heart. .-= Kellie HosakaÂ´s last blog ..Our Deepest Fear â€“ Marianne Williamson =-. I’m glad you liked the post and I must say finding a balance with ‘learning’ is still a challenge. I have to factor in ‘No Learning Allowed’ days into my week lol.